Recycling is mandatory for paper, cardboard, and recyclable glass food and beverage containers, metal food and beverage containers (aluminum and steel), PET (#1) and HDPE (#2) plastic bottles in most Alameda County multi-family buildings with 5 or more units. Additionally, composting of organics such as food scraps and plant debris is also mandatory in many jurisdictions in Alameda County. See the Rules by City pages to learn more about the requirements in your City. 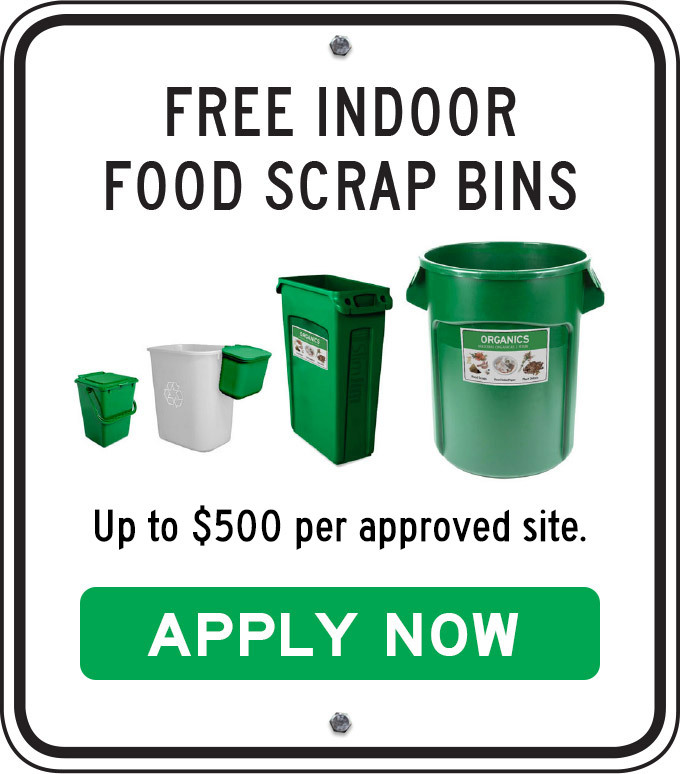 Multi-family property owners of buildings with 5 or more units located in participating jurisdictions in Alameda County are required to provide tenants with an adequate level of recycling service and organics collection service for food scraps and compostable paper. Property owners / managers are also required to provide educational materials to tenants annually on how to separate recyclables and compostables. If you suspect your building and landlord are out of compliance, we want to hear from you. The information you provide will be labeled “official information” and will be handled as confidential, not subject to disclosure under the laws and statutes of the State of California (CA Evidence Code Sec: 1040-1047). Please use this form only to report non-compliance at a multi-family complex where you reside. Have you contacted the owner and/or manager about the Mandatory Recycling Ordinance? If Yes, what was their response? (500 characters or less). We will not disclose your name or contact information. (1) The City of Dublin which has not opted into the ACWMA Ord. 2012-01 is still subject to state law AB 341. (2)The California Evidence Code Section 1041(a) states in part 1041. (a) Except as provided in this section, a public entity has a privilege to refuse to disclose the identity of a person who has furnished information as provided in subdivision (b) purporting to disclose a violation of a law of the United States or of this state or of a public entity in this state, and to prevent another from disclosing such identity.